Individuals arrested and accused of committing a felony offense in the state of Oklahoma face a variety of potentially life-changing consequences. Loss of one’s liberty, the right to bear arms, the privilege to participate in the political process, and suffering a permanent blemish on one’s public record of the alleged criminal wrongdoing are the most visible and hard to swallow possible outcomes of a criminal felony arrest. But before any of these very unpalatable possible consequences can come into play on any long-term basis, the Constitution for the State of Oklahoma provides a type of safety net for accused citizens that was put into place to make certain that law enforcement officials aren’t out there arresting law-abiding citizens without some base threshold level of evidence. All individuals arrested for a felony offense in any Oklahoma state court setting are provided with the right to a Preliminary Hearing prior to having to suffer through the risk and expense of a trial, whether by jury or the Court. 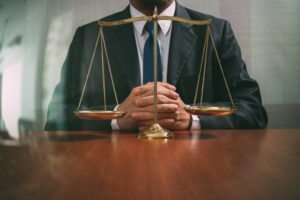 At a felony preliminary hearing all Defendants have an opportunity to face their accuser(s) in a type of mini trial setting, typically before a special magistrate. At these hearings the burden of proof is on the State of Oklahoma, through the District Attorney or one of his/her Assistant District Attorney representatives, to come forward with evidence that will satisfy two basic requirements. First, they must prove that there is probable cause to believe that the felony offense for which the defendant has been charged has, in fact, been committed. Second, they are required to prove that there is probable cause to believe that this particular defendant has committed the crime or crimes for which they have been charged. Unlike a jury trial where any conviction is required to be founded upon the establishment of proof of the felony offense “beyond a reasonable doubt,” which is the toughest burden of proof in law to satisfy, the burden of proof for the State at the preliminary hearing is referred to as proof by a “preponderance of the evidence.” Quite different from the burden requirement at a final trial, this preliminary hearing burden of proof shouldered by the State of Oklahoma is actually the lowest burden of proof in our jurisprudence and is often easily satisfied with just a bare minimum presentation of the facts surrounding the alleged crime. Many times defendants are quickly and easily bound over for trial after this constitutionally guaranteed pretrial mini evidentiary hearing who are later found Not Guilty at the final trial in the matter owing to these vastly different burdens of proof. Understandably, when a preliminary hearing is conducted and State of Oklahoma is unable to put a warm body on the witness stand, or where the witness does appear, whether it be a citizen or law enforcement official, but is unable to present facts sufficient to meet even this lowest burden of proof (perhaps they are unable to positively identify the defendant, or the testimony just falls short of establishing that a crime has in fact been committed even by this much lower burden of proof), then the case is dismissed and the defendant is able to avoid the tremendous risk and expense of a final trial in the matter. Yes, the preliminary hearing is a vital tool in ensuring that all Oklahoma citizens are protected from frivolous or heavy-handed felony arrest by law enforcement where there is insufficient evidence to establish that a crime has been committed.